Join Michael Farris as he delves into the history of our nation's most important document and provides the training to turn America back towards a proper understanding of American Liberty. Currently, Michael P. Farris is president, CEO, and general counsel of Alliance Defending Freedom. As a constitutional attorney, he has argued before the U.S. Supreme Court, eight federal circuit courts of appeals, and in the appellate courts of 13 states. He has authored 15 books and numerous amicus briefs before the U.S. Supreme Court. Farris now serves as chairman of the board of HSLDA and chancellor emeritus of PHC. He has taught constitutional law and coached PHC's Moot Court team to nine national championships between 2004 and 2016. From Sheila Blaskowski of Fruitland, Iowa on 10/17/2017 . From Christine D. of Carlsbad, California on 10/13/2017 . From HomeschoolMom of Westchester, New York on 1/11/2017 . From IntheGarden of Bel Air, Maryland on 9/12/2016 . From Anonymous of Northville, Michigan on 3/10/2016 . 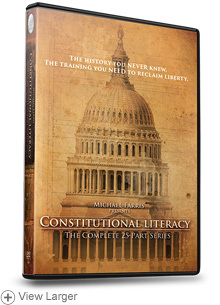 3/25/2018 – We just finished watching the Constitutional Literacy series, and it mentioned there was a way to send the series to your . . .
10/8/2013 – I purchased these DVDs and am using them in a homeschool co-op. Do I need a special license or permission to do this? I am . . .
5/24/2012 – Are these DVD's subtitled or closed captioined? I'm hearing impaired. Thank you! 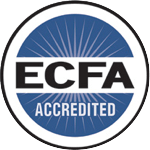 9/17/2011 – Is this course comparable to a high school level civics course, and is it enough to earn high school credit. 6/8/2011 – Is this course in Constitutional Literarcy suited to an 8th grade student who has a deep interest in politics and government? . . .
6/7/2011 – Is this product designed to be the basis for a high school level course? Are suggested readings, review questions,and/or . . .